Europe is responsible for manufacturing 10 of ITER's 18 D-shaped toroidal field coils. The European Domestic Agency has released a series of video clips on manufacturing activities underway on the ITER toroidal field coils. Filmed at the European winding facility in La Spezia, Italy, the videos document the winding, radial plate insertion, conductor wrapping and insulation, and radial plate laser welding phases of the manufacturing process. The European consortium ASG (formed by ASG, Italy; Iberdrola. 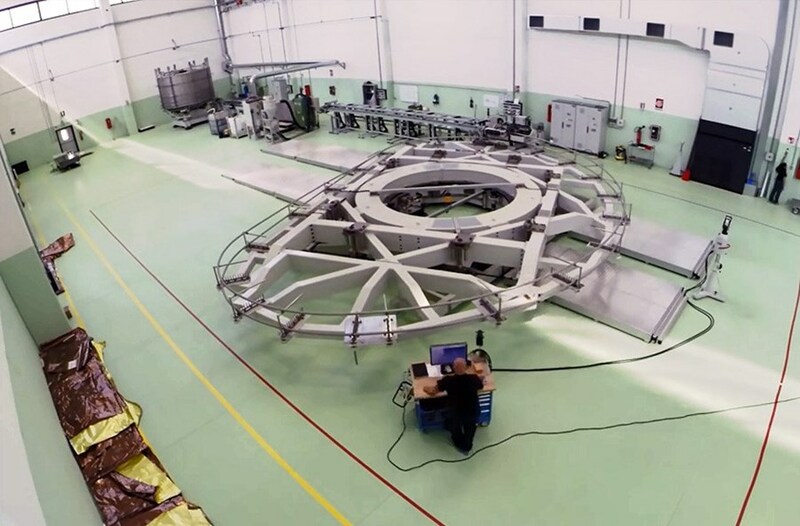 Spain; and Elytt, Spain) is progressing well on the fabrication of the double pancake windings that form the building blocks of ITER's massive D-shaped superconducting magnets. In September, Europe reported that 36 double pancakes had been wound (enough to assemble five toroidal field coils), 30 heat treated, and 28 successfully transferred into the radial plate grooves. The cover plate welding has been successfully completed on 19 of the double pancakes. (See more on the multiple-stage manufacturing process here). Europe is responsible for procuring 10 of ITER's 18 toroidal field coils. View the time-lapse videos on the European Domestic Agency website.